A Peruvian court will decide on Sunday whether to grant a prosecutor's request to place opposition leader Keiko Fujimori in preventive detention for 36 months, which would likely scupper her 2021 presidential hopes. Anti-corruption prosecutor Jose Domingo Perez has asked the court to hold Fujimori and 11 others for the lengthy period as his team investigates who benefited from millions of dollars in campaign bribes from Brazilian construction giant Odebrecht. Her lawyer Giuliana Loza described the prosecutor's request as "an outrage." Judge Richard Concepcion Carhuancho of the First Preliminary Investigation Court will hear the case on Sunday morning, the judiciary said. He is the same judge that earlier this month allowed Lopez's request to hold Fujimori in preventive detention for 10 days. Peru's constitution allows for suspects to be held without trial for up to 36 months in complex cases such as the Odebrecht investigation, which involves tracing millions of dollars in illicit payments. It also ensures that suspects cannot interfere with evidence or witnesses in an ongoing investigation. Acceding to the prosecutor's request would all but end Keiko's chances of the presidency, after she lost run-offs in 2011 and 2016. Lopez lodged his request Friday, only two days after an appeals court ordered Fujimori's release from a week-long stay in prison as part of the same investigation. The 43-year-old daughter and political heir to disgraced ex-president Alberto Fujimori, Keiko has increasingly come under the spotlight as prosecutors investigate millions of dollars in illicit campaign contributions to several former presidents. They say former presidents Pedro Pablo Kuczynski, Alan Garcia and Alejandro Toledo all took undeclared campaign contributions in exchange for pledges to have the Brazilian construction giant win local tenders. Their key witness, former Odebrecht Peru chief Jorge Barata, said he doled out millions of dollars to Peruvian presidential candidates between 2001 and 2016. 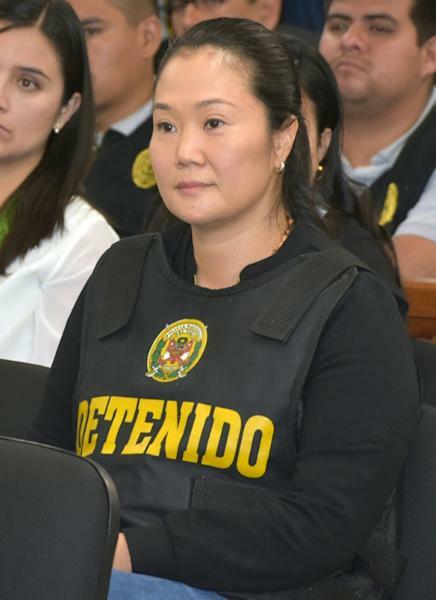 Prosecutor Perez believes Fujimori -- leader of the main opposition Popular Force party -- received more than $1.2 million from Odebrecht for her 2011 presidential campaign. Odebrecht has admitted spending hundreds of millions of dollars to buy politicians' favor in governments all across Latin America. 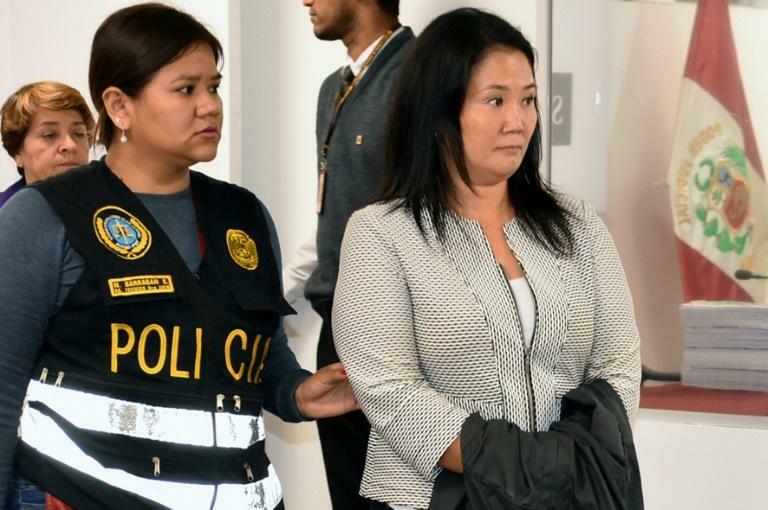 The appeal court's decision to release Fujimori after a week of her previous detention was a setback for both the judge and the prosecutor, who have gained notoriety by prosecuting top politicians over the Odebrecht scandal. New Interior Minister Carlos Moran, a former police general, immediatly ordered police to tighten security around Lopez. "The Peruvian Police will step up protection for prosecutor Domingo Perez as well as for his family and his home," he said on Twitter. Fujimori, who is not obliged to attend Sunday's hearing, has petitioned the court to remove Judge Concepcion Carhuancho from the case. "The first thing we have to resolve is the recusal," she told reporters. The case could drag on, as her legal team can appeal. The fortunes of the Fujimori familiy have dominated Peru's politics for the past year. Though Keiko's Popular Force party is the biggest in Congress, her public feud with her younger brother Kenji -- who leads a rival wing of the party -- and their legal woes have chipped away at her popularity. Kenji is facing trial for bribery. 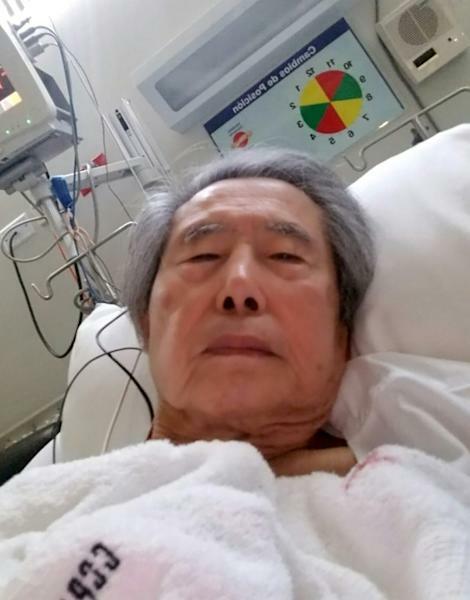 Meanwhile, the 80-year-old patriarch, former president Alberto Fujimori, had his humanitarian pardon for crimes against humanity revoked by a court last month and is once again in hospital. His chronic ill health means a return to prison would be a "death sentence", he has told the authorities. He has publicly pleaded with his children to join forces and Keiko said after her week in prison that she had taken time to reflect on "the unity of my family." The country's president, Martin Vizcarra -- who has made fighting corruption his priority -- has meanwhile risen steadily in the polls.